Elsa came from off the pace to go clear in the G3 Jimmy Durante Stakes over a mile on turf at Del Mar, California, USA, on Saturday, 24 November. The two-year-old Animal Kingdom filly, making her Graded Stakes debut, won by two and a quarter lengths in 1m 35.68s on firm going. Trained by Michael Stidham and partnered by Joe Bravo, she broke well in the field of 12 and was prominent before held back in ninth place on the inner as a strong pace was set up front. She was switched out from seventh at the start of the final bend and came with a strong run to challenge widest of all entering the straight. Elsa soon took the lead – hitting the front with a furlong remaining – and ran on strongly to beat Courteous. Michael Stidham commented: “Elsa was really impressive – it was great to watch. 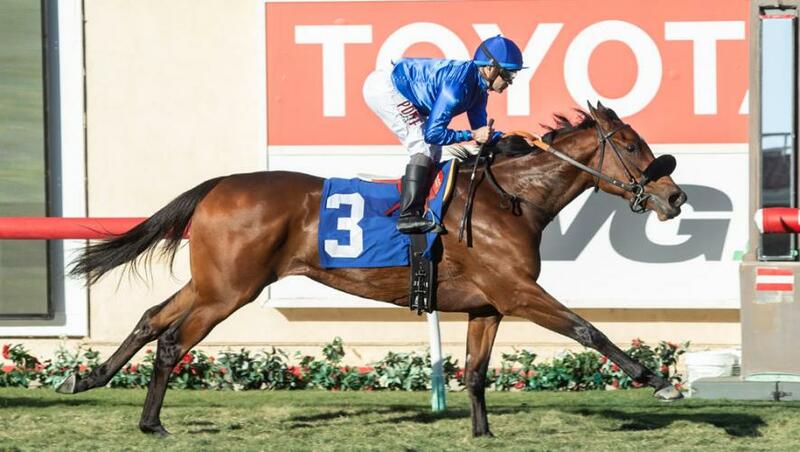 “She hated the soft ground on her previous start and we came to California to make sure of getting firm turf. “She was stepping up in trip to a mile and going up in grade and she has passed both those tests well. “Elsa settled back and relaxed before coming with a big run when the jockey asked her. This was Elsa’s second victory from four starts and she had been training well at Fair Grounds in Louisiana.